The Bay Bridge is the massive double-decker bridge that crosses San Francisco Bay, connecting Oakland California to San Francisco. The bridge was built in the 1930s and completed at around the the same time as the Golden Gate Bridge. 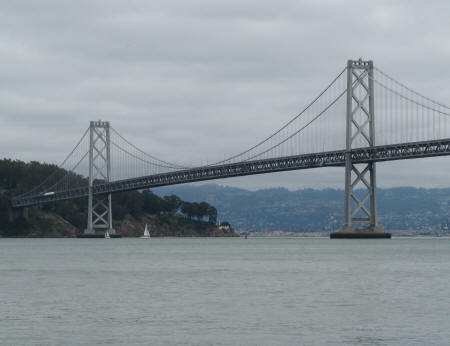 The Bay Bridge is one of three ways to travel quickly from San Francisco from Oakland. The other two are by ferry and by light rail (BART).